Efficacy of Ribonuclease H Inhibitors for HBV Infection in FRG Mice | Yecuris FRG: humanized animals and human hepatocytes platform for your next great discovery. Hepatitis B infections can be studied in vivo using the liver humanized FRG mouse model. Approximately eight weeks after infection, the viral titer plateaus to a chronic phase. Novel compounds to treat HBV infection can be tested in vivo and show a human metabolism profile. In this study, researchers tested the efficacy of a new class of compounds to reduce HBV viremia. This shows that the liver humanized model is suitable to study the efficacy of novel therapies in vivo after infection with patient derived virus. Chronic hepatitis B virus infection cannot be cured by current therapies, so new treatments are urgently needed. We recently identified novel inhibitors of the hepatitis B virus ribonuclease H that suppress viral replication in cell culture. Here, we employed immunodeficient FRG KO mice whose livers had been engrafted with primary human hepatocytes to ask whether ribonuclease H inhibitors can suppress hepatitis B virus replication in vivo. Humanized FRG KO mice infected with hepatitis B virus were treated for two weeks with the ribonuclease H inhibitors #110, an α-hydroxytropolone, and #208, an N-hydroxypyridinedione. Hepatitis B virus viral titers and S and e antigen plasma levels were measured. 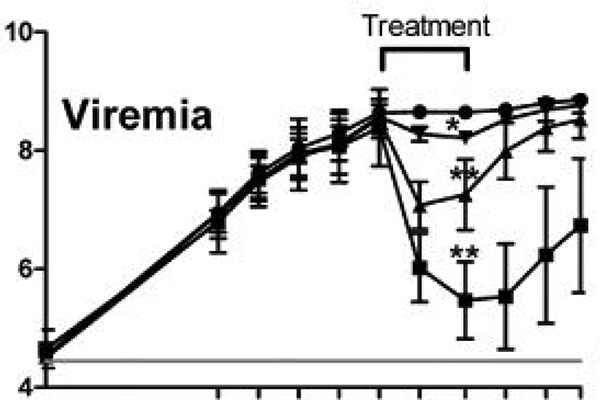 Treatment with #110 and #208 caused significant reductions in plasma viremia without affecting hepatitis B virus S or e antigen levels, and viral titers rebounded following treatment cessation. This is the expected pattern for inhibitors of viral DNA synthesis. Compound #208 suppressed viral titers of both hepatitis B virus genotype A and C isolates. These data indicate that Hepatitis B virus replication can be suppressed during infection in an animal by inhibiting the viral ribonuclease H, validating the ribonuclease H as a novel target for antiviral drug development.